Mickela's Travel Holiday Wish List — Bare Feet with Mickela Mallozzi | Experiencing the world, one dance at a time! I travel. A lot. So much so, I forget how abnormal it is to jump in a plane four to six times a month, but to me that is my normal. And since the holidays are upon us, I thought I’d share some travel essentials that I personally never travel without that I also think would make some amazing gifts (anywhere from stocking stuffers to full on experiences), for anyone who is a travel newbie to the seasoned traveler. Don’t get me wrong, I will take a travel experience over any new gadget or material item, but there are some things that make travel and living as a traveler much easier. I am not sponsored by any of these companies, with the exception of our partnership with Shoot My Travel, but even that company’s relationship started because I genuinely LOVE their product and reached out to them because of my respect for what they offer. So I hope this Mickela’s Travel Holiday Wish List helps with your holiday shopping - I know I can’t live without most of these things, and maybe your travel loved one will enjoy them as much as I do! I always have a foldable, re-usable, fabric bag on me at all times for any sort of shopping (grocery shopping, market shopping, souvenir shopping!). I keep one in the front pocket of my carry-on so it’s always handy and I can easily grab it and tuck it into my purse for when I’m out and about. My favorite brand is Baggu, and its standard bag folds up to the size of a pair of underwear! They are economical and eco-friendly, and when you’re traveling abroad to countries that have banned plastic bags, you’ll be shopping like a local! I’m a huge proponent of carry-on only, especially when flying TO my destination. I’d rather not wait for my luggage at the baggage claim upon my arrival, and that also forces me to not overpack. 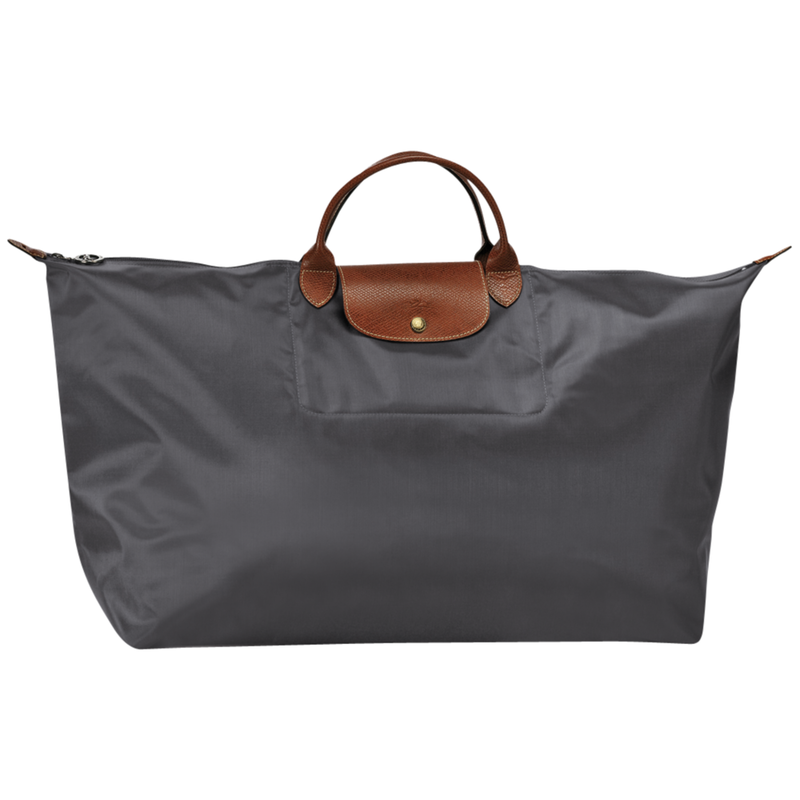 However, I always pack a Longchamp Le Pliage Travel Bag (either Large or Extra Large - both fold to the size of a large women’s wallet/small clutch and open to the size of a full carry-on bag). Having this extra bag gives me the flexibility to purchase souvenirs, dance outfits, or dance shoes while traveling without feeling anxious of how I’m going to bring them back on my way home. The bags are durable and a great investment, and I buy them when they are on sale (usually in colors that are less popular), since I will get good use of them and I’ll definitely put them through the ringer. Like I said, I fly anywhere between 4-6 times a month, and the pressurized air on an airplane always dries out your skin. 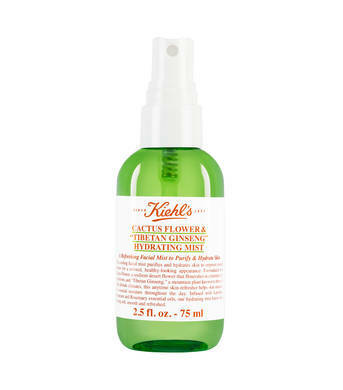 I keep this Kiehl’s Cactus Flower Tibetan Ginseng Hydrating Mist (formally called the In-Flight Refreshing Facial Mist) in my carry-on ALWAYS (I usually sneak it in my backpack) so I can spray a few mists before take-off and later once we land. It makes my skin feel great, it smells amazing, and I feel refreshed once I arrive to my destination! For a big-ticket item, consider getting an actual trip (and for yourself as well!). Some of my favorite companies, especially for women/by women are WHOA (Women High On Adventure) where adventurous trips are combined with a giveback component; and Damesly, trips for professional and creative women who are looking for trips that also have an educational workshop component. If you’re on the fence of any big travel decisions, consider buying a ticket instead to the 6th Annual Women’s Travel Fest where you’ll surely be inspired - I’ll be there, and be sure to use coupon code BAREFEET for 15% OFF registration. And stay tuned for our Bare Feet Tours coming back in full swing in 2020! I don’t have kids, but I have plenty of friends and family who do, and I absolutely LOVE to spread to the joy of travel and curiosity of other cultures to as many young people as I can. Little Passports is a perfect gift for any curious traveler (or growing global citizen) to start understanding how big and diverse our world really is! The Little Passports subscriptions come in a variety of options for different age groups (3-5, 6-8, and 9+) and options for subscription length. I can’t recommend this enough - and best of all, the kids love to receive a special package of their own in the mail once a month! Use code BAREFEET for $15 OFF your first ShootMyTravel.com booking! Ever wanted some incredible, professional, candid photos from your once-in-a-lifetime vacation as well as an amazing local guide? Well, that’s exactly what Shoot My Travel is - your paparazzi for a few hours, but with a kind and talented local who will give you the inside scoop on where to get the best dessert...or something similar. Shoot My Travel offers photo tours in over 300 destinations where it wants you to experience the city through the lens of a local photographer! They sent their Shoot My Travel photographers to a few of our Bare Feet Season 3 film shoots, and if these photos don’t convince you, I don’t know what will! Plus, they even offer a secret wedding proposal package - the ultimate gift! The one thing I need the most in my life is order, especially when I’m constantly packing and unpacking my suitcase. So, I’ve discovered the TOM BIHN Travel Tray that I use all of the time (even when I’m home) - I keep it on my bedside table wherever I am (home, in a hotel, crashing on a friend’s couch on the other side of the world, etc.) so that I know EXACTLY where my small sleeping and/or daily essentials are (my watch, cell phone, ear plugs, eye mask, vitamins, Ibuprofen, etc.). And you can pull out the draw string to close up the tray and pack as is, if you like - Travel Trays come in 2 sizes, small and large. Sometimes finding sporadic wifi at hotels and coffee shops just isn’t enough. We were using the Skyroam Solis while filming this new season, especially when announcing each new DNA destination via Facebook LIVE! This pocket-sized device helps you get work done while traveling (for those of you who can’t get fully away while away). It’s also perfect for using in the rental car as a wifi spot for your smart phone’s GPS! I know you don’t want to talk about it, but let’s face it, our body’s system gets out of whack when traveling. 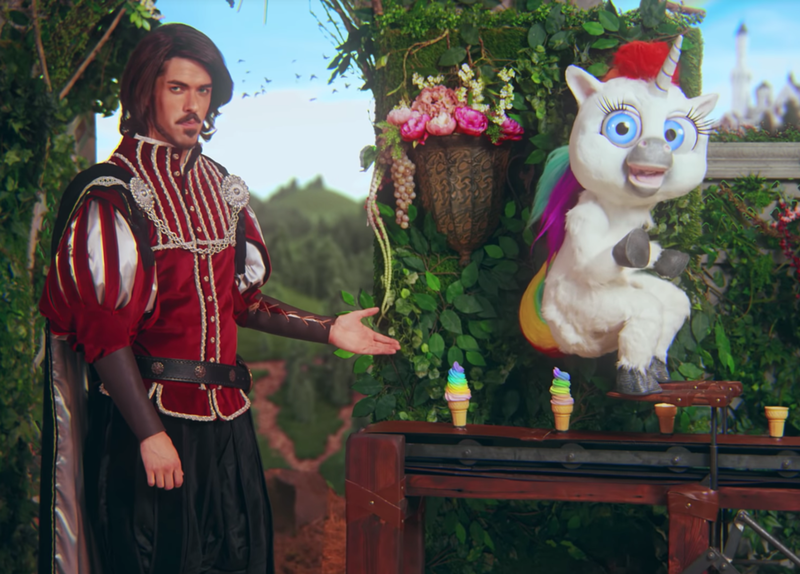 I’m a proponent of the regular Squatty Potty® at home, so for anyone who spends any time away from home, you may as well bring the travel version with you. The Porta-Squatty™ folds up to the size of a laptop, and I don’t say this often but it has changed my life as a traveler! Americans used over 50 million plastic bottles in 2017, and as we all know, the impact that one-time use plastic bottles have on our planet is devastating. That’s why when I travel (or go to the gym or go ANYWHERE for that matter), I bring my S’well with me. S’wells are beautiful, sustainable, and charitable, supporting some incredible initiatives to support local communities in need! Click HERE for a FREE BOX with your new subscription! The Try The World monthly subscription box is a curated selection of gourmet foods—including ingredients to cook with, drinks, and snacks—from around the world. If you can’t make that trip right now to India, at least your kitchen and your tastebuds will feel like they are there! “I love her backpack…” Eavesdropping on my fellow subway riders is always fun, especially when they are checking me out...or rather my gear out! Not only is the Caraa x Athleta Convertible Backpack stylish, it’s super functional, very comfortable, and its multi-purpose use is incredible! Check out the video I made HERE! I always use this bag as my personal item on my flights - it carries everything I need and fits easily under the seat in front of me. Never underestimate the power of giving back - these are a few of my favorite organizations that I love to support. I hope you consider giving back to these or any causes that you truly believe in as well! Reach The World helps build global competency and brings the world into the classroom! VoteRunLead is a non-partisan organization that trains women to run for political office and win! Easterseals has had a profound impact on me and my family’s life (check out my sister Adriana Mallozzi and her tech company Puffin Innovations recently featured in The Boston Globe). This is what Easterseals makes possible!